WASHINGTON  Deaths now outnumber births among white people in more than half the states in the country, demographers have found, signaling what could be a faster-than-expected transition to a future in which whites are no longer a majority of the American population. Its happening a lot faster than we thought, said Rogelio Sáenz, a demographer at the University of Texas at San Antonio and a co-author of the report. It examines the period from 1999 to 2016 using data from the National Center for Health Statistics, the federal agency that tracks births and deaths. He said he was so surprised at the finding that at first he thought it was a mistake. 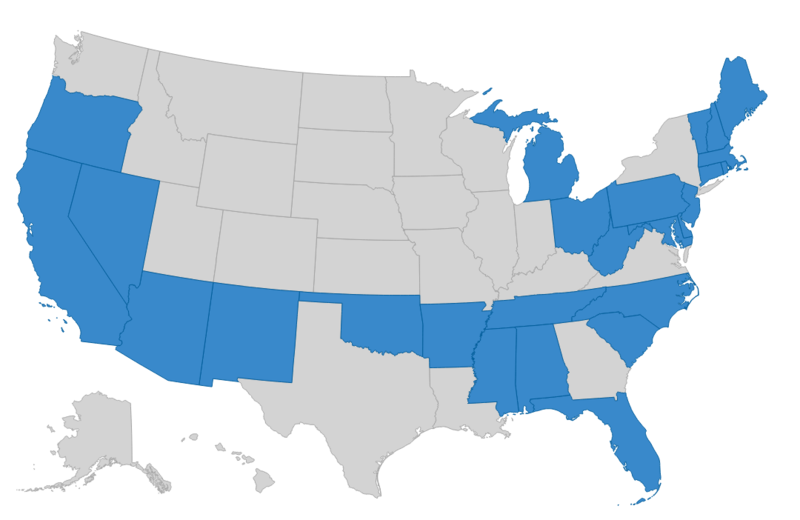 States in blue had more whites dying than being born in 2016. The demographics of the country really are changing. Coupled with the massive waves of immigration (both legal and illegal), this country will be vastly different in short order. The agenda has a name. That name is Erase and Replace. Whites are being Erased with abortion and small families and Replaced by immigration. This must give the Left thrills. There used to be a focus on assimilation. It seems that concept has gone out the window. I’m glad that I won’t see the America of 2050 but the little children of today will. [ The agenda has a name. Someone should tell the left that abortions are expensive and whites with their white privilege should be charged 10x for abortions to help pay for POC wanting abortions... I am sure the dingbats on the left would think that is a great idea. Well, this is good, right? White people are bad and shouldnt be alive, right? Thats what I hear on the tv. This is EXACTLY what the global cabal wants; The total REPLACEMENT/DISPLACEMENT OF CAUCASIANS THROUGHOUT THE WORLD. ODDLY, it's Caucasians behind this sinister plot. THE GLOBAL CABAL SEEKS THIS BECAUSE A NON-WHITE CIVILIZATION IS EASIER TO CONTROL! Men and women, do your duty! Please get between the sheets and make like bunnies! The difference is the kids don’t care. Not quite the White Slave Age, but getting there. Whites in CA already a minority. I wonder if our Latino’s will be able to run CA better than the Latin locales they originate from. it's Caucasians behind this sinister plot. He believed the black man would destroy the white white but too stupid to rule on his own, so the surviving Manson Family would rule over them. See how successful it worked out for Charlie. Same for these "elites"
Well, my thought is that “It’s hard to pay for YOUR OWN WHITE KIDS when you are having to pay for OTHER PEOPLES KIDS” by taxed to death means. People want to have kids but tend to be aware that maybe they can’t afford them. And then there are the people who don’t care and love welfare. White people are into abortions, masters degrees, and waiting until they are in their 30s to have babies. This is awesome! Not only have the Marxist convinced many whites to abort their babies at will but also to not procreate at all. In addition they have convinced many whites that ‘race is just a social construct’ and that whites have absolutely nothing to do with the West being the West. 20 posted on 06/20/2018 12:04:45 PM PDT by Altura Ct.